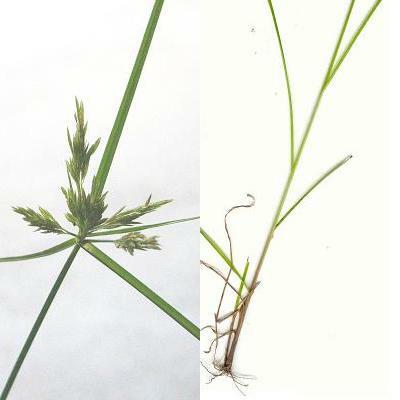 The photo shows the seed head of this sedge with the 4 leaf-like bracts associated with it. Seed stems (or culms) are 10 - 60 cm high, and have a diameter of 1.0 to 2.5 mm with a triangular cross-section. Most of the leaves are not as long the culms.